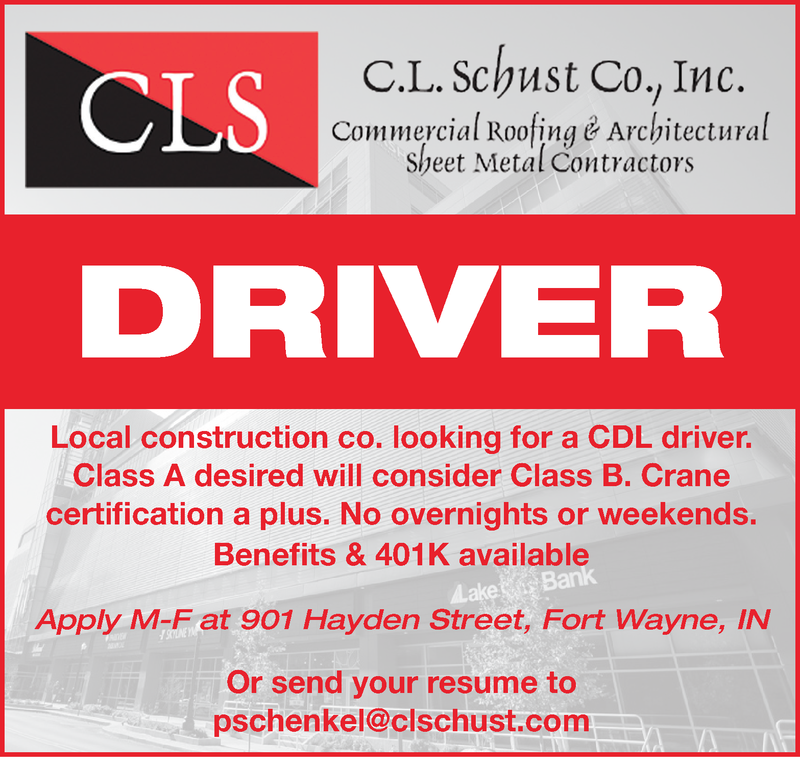 Local construction co. looking for a CDL driver. Class A desired will consider Class B. Crane certification a plus. Or Click Apply and Send Your Resume Today!